My kids love going to the movies but we don’t splurge on it very often due to the price. The tickets alone are rather expensive but when you consider the cost of movie snacks on top of that, the cost for an afternoon of fun can be staggering. One way we cut back on the cost of our family day at the movies is to snack at home before we go. Not only is this a good financial choice, it is also MUCH easier to eat healthy at home than at the movie theater! Have you seen the yellow liquid stuff they call butter? What does Del Monte have to do with movies? Keep reading to find out! 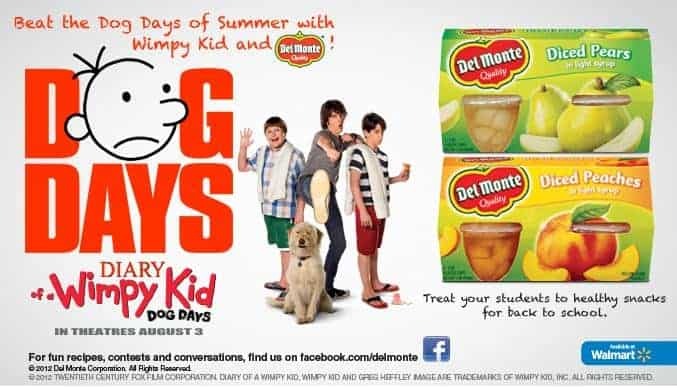 When I was chosen to help spread the word about Del Monte joining forces with The Diary of a Wimpy Kid movie that came out last week, I knew this was a campaign I could really enjoy participating in! My son is absolutely obsessed with The Diary of a Wimpy Kid! I think he has every single book in the series and has read them all multiple times. 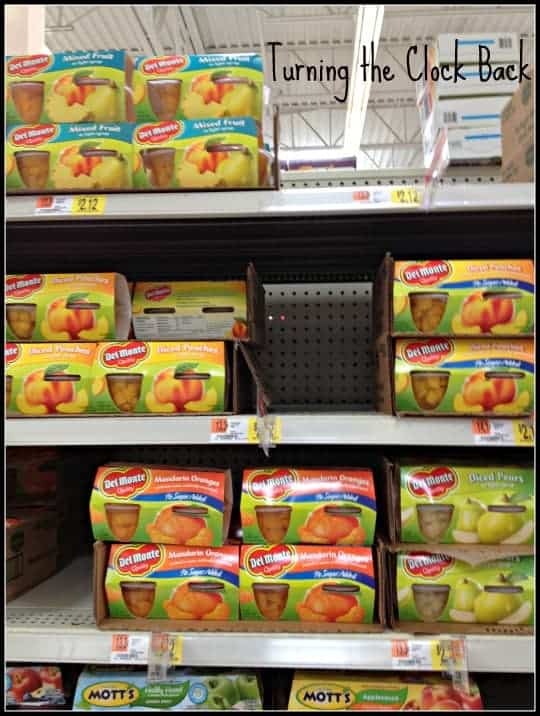 As part of my #Snacks4WimpyKid mission, I headed out to Walmart to see what sort of healthy snacking options Del Monte offered. Walmart had some really great deals on Del Monte fruit cups as part of their back to school campaign so I was in luck. I managed to grab several varieties that I knew both my kids would enjoy. There were many options to choose from, including mandarin orange slices, pears, peaches, tropical fruit, and even one that had cherries in it. You could choose from either a no sugar added variety or the type that comes in light syrup. I was thrilled to see that the one with light syrup was made with real sugar and NOT high fructose corn syrup. I try and avoid that particular ingredient whenever possible! So, with my cart full of Del Monte fruit and a few other last minute supplies, I headed to the checkout lane. I was anxious to get home and have my kids help me on the rest of my project…we were going to wimp out our family! 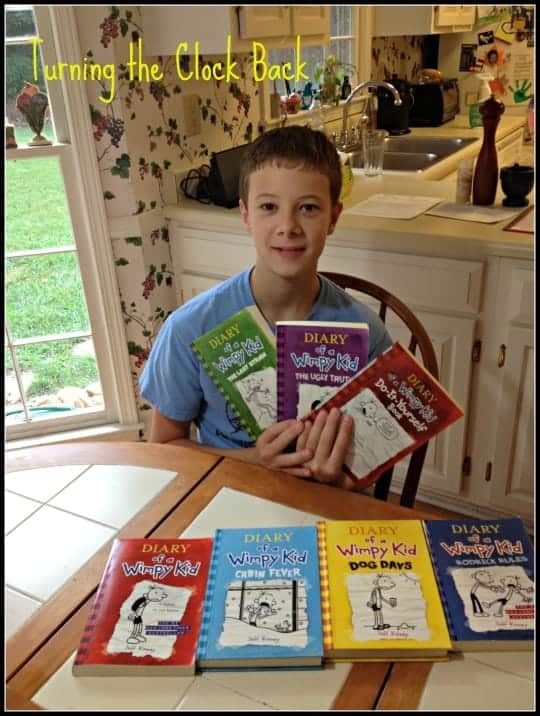 Can you tell that my son is REALLY proud of his Diary of a Wimpy Kid (DOAWK) collection? He keeps them all in a nice, neat little corner of his bookcase and enjoys going back to them over and over again. The new DOAWK Dog Days of Summer movie started being advertised all I heard was “Mom, we have to see that!” over and over again. The DOAWK Dog Days opened in theaters on August 3rd and even though my kids are already back in school, I have a feeling we will be making a Saturday afternoon trip to the theater to see it. 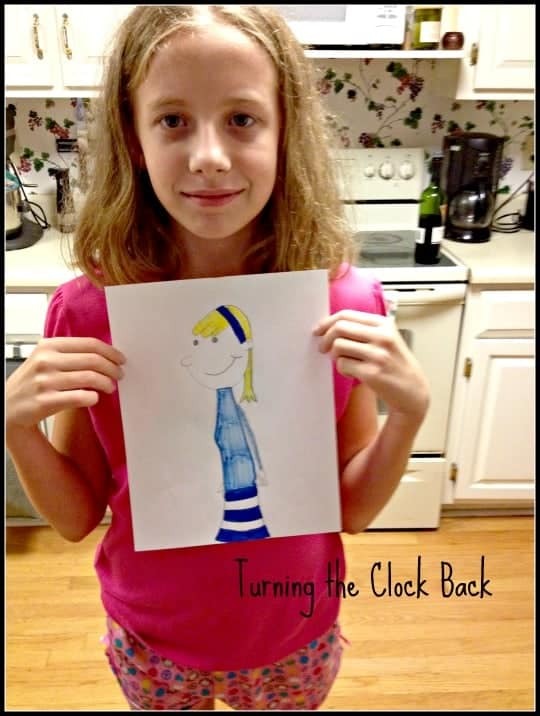 Emily made quite the stick figure likeness of herself…all blond and fashionable! Drew made a super secret ninja type dude. He is so cool! If you are considering heading out to see the Diary of a Wimpy Kid movie in the next couple of weeks, try and grab some healthy snacks ahead of time. You can avoid the high prices of movie theater snacks AND eat a lot healthier if you grab some Del Monte fruit cups. They have cool flavors like Strawberry-Banana, Peaches, and Cherry Mixed Fruit that I am sure your kids will love. Del Monte’s fruit cups help you get more fiber, vitamins and minerals in your diet. They are virtually fat-free and a typical serving size is only about 60 calories. 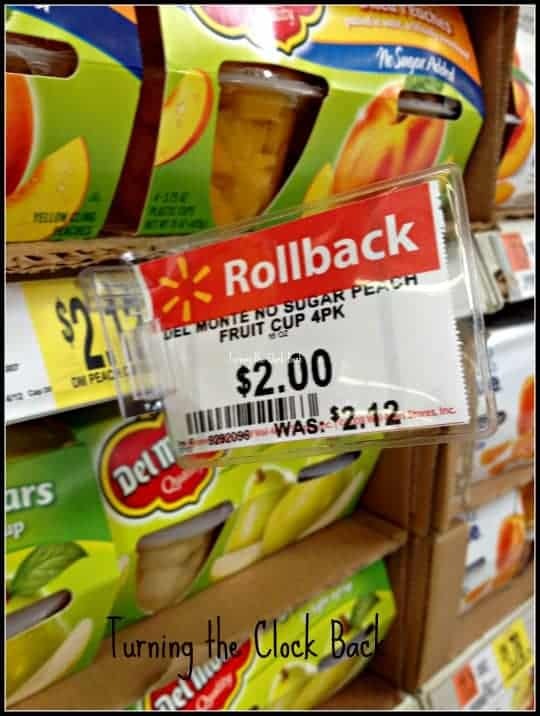 You can also find some really great deals at Walmart right now with their back to school sales. I was pretty impressed with their prices on my shopping trip! 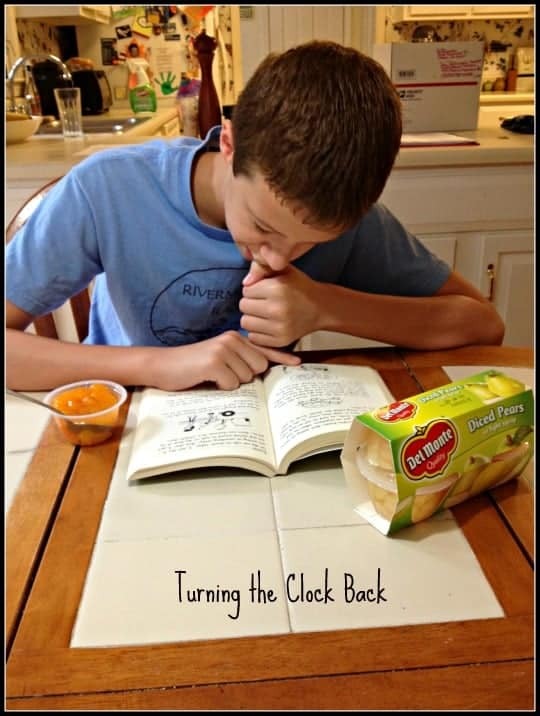 Del Monte fruit cups would also make a great addition to your child’s lunchbox or a healthy after school snack! Head over to the DOAWK Facebook page at and enter the contest! You could win a hand-drawn family sketch from author Jeff Kinney, Del Monte® Fruit Cup® snacks for a year, or two Hollywood Movie Money® Concession Certificates valid for up to $5.00 each. Plus, the first 50,000 people to enter will receive a coupon for $1 off any two (2) Del Monte Plastic Fruit Cup 4 Packs. If you would like to learn more about Del Monte, you can also follow them on Twitter! Disclaimer: This shop has been compensated as part of a social shopper insights study for Collective Bias. #CBias All opinions expressed here are mine and mine alone. 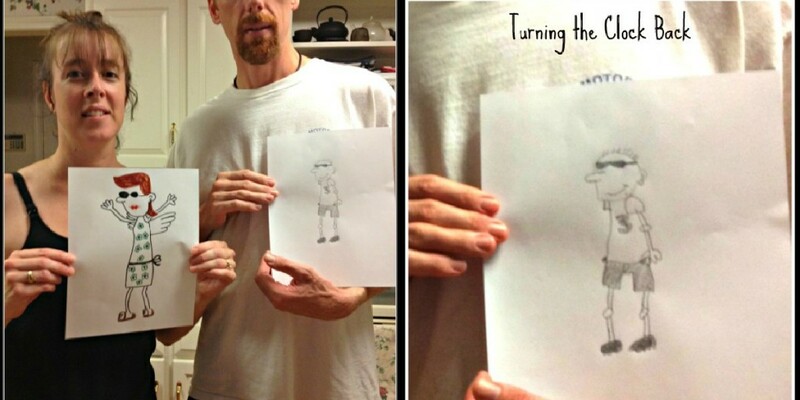 Love the kids' drawings and that you got the whole family involved! Wimp Yourself.... I wish I knew about that site!! I would have created my own DOAWK me! I am loving the drawings. My boys love the Diary of a Wimpy Kids books and movies. I have to admit, I myself am dying to see the new movie. I love the drawings my boys also love the Diary of a wimpy kids books although I have never read any of the books they seem to be at every book fair that I go to. Love your pics. 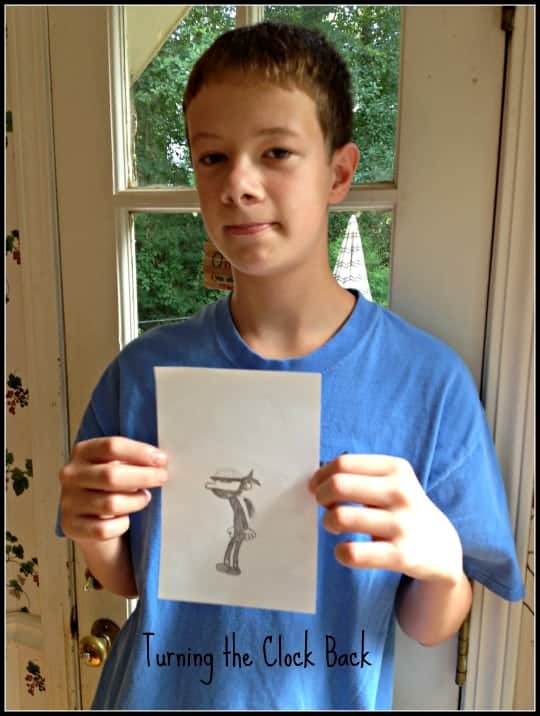 Love the kid's drawings! My son is a big Wimpy Kid fan and has all the books, too! He's reading through them this summer in fact! Oh my gosh, you guys are so artistic. I'm literally a stick figure person. Can't draw to save my life. Our family lives by Del Monte! Only fruit and veggies we eat from a can!